Dr Purves specializes in helping you to overcome panic, anxiety and depression. There are well understood tools and techniques you can use to help yourself recover from panic, anxiety and depression. The simple fact is that you do not need to suffer from these problems. But if that is a goal that is of interest then you do need to do something constructive. There is no 'magic' quick fix. But there is a well trodden path you can follow and which will reliably take you out of panic, anxiety and depression. Dr Purves has spent over 20 years developing tools that have helped thousands of people both in the NHS in the UK an also in the private space. But, don't take our word for it. join the community and get immediate access to several sets of tools you can use immediately. If you find them useful then continue on the journey and go deeper. If you don't find them useful you have lost nothing and maybe gained a bit of knowledge along the way. 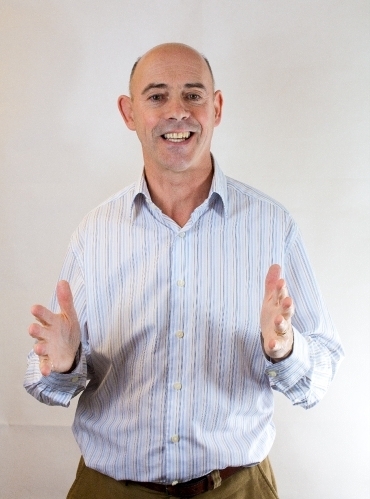 Dr David Purves is a Consultant Chartered Counselling Psychologist, a qualified psychotherapist, and an accredited CBT therapist he is also a Chartered Scientist. Dr Purves was previously Course Director for the London Metropolitan University Doctorate program in Counselling Psychology. He was formally Head of the Berkshire NHS Traumatic Stress Service, based in Reading. He is now principle and Clinical Director of the Berkshire Psychology Service. His academic qualifications include a first class degree in Psychology from Lancaster University and a D.Phil in Experimental Psychology from the University of Oxford and a MSc in cognitive behaviour therapy from LMU. Dr Purves has published a number of academic articles, and contributed to books on the training of therapists. He has talked nationally and internationally on subjects related to Trauma, PTSD and computerized cognitive behaviour therapy. He is also frequently asked by the media for interviews and acts as an expert psychologist recommended by the British Psychological Society on matters of disaster and trauma. He is also an expert witness to the courts on matters of trauma and PTSD.